From music and entertainment to the finer details, planning your wedding day is a once-in-a-lifetime experience. To ensure everything goes perfectly to plan, it is imperative to pay attention to even the simplest of details. Employing a full-service event planner will help make your vision a reality. Richie Hart Events in East Norwich, NY, has over 30 years experience in creating unforgettable weddings and events. As one of the most sought-after planners in the area, Richie Hart Events provides elite services in every aspect of your special day, including event lighting, wedding entertainment, lounge décor, and dance floors. Their expertise is in providing a stress-free, detail-oriented service, guaranteeing no beat is missed. 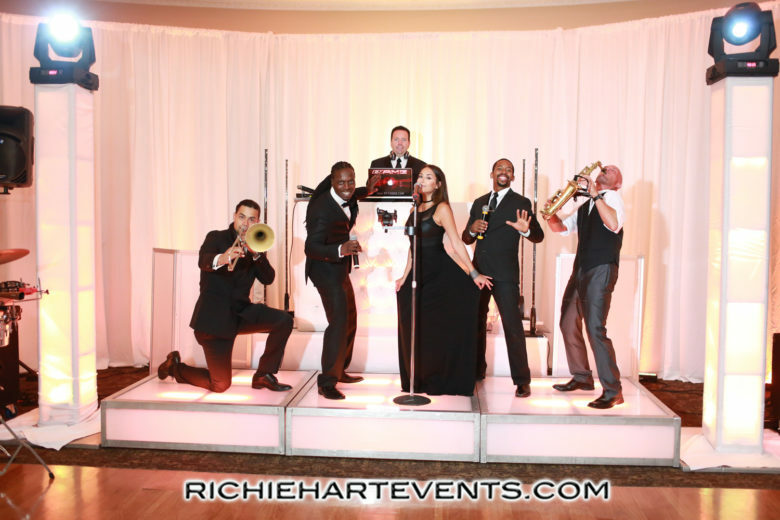 DJ/Live Band Hybrid: While most weddings employ either one or the other, Richie Hart Events has pioneered the DJ/Live Band Hybrid and is one of the few planners to provide both creating an elegant, high energy wedding celebration. Classic meets modern with this trendy hybrid. A live voice and classic instruments provide a sophisticated sound while the DJ infuses a fun, lively flair. In addition to music, they also provide event planning and design, entertainment, lighting and lounge, dance floors, staging, photo booths, decor, centerpieces, ballroom party artist and attend to every detail down to the monograms, seating cards and parting favors. When planning your wedding day, Richie Hart Events is a full-service event planning company that is guaranteed to provide you with the wedding of your dreams. Because they take care of every detail, from the décor to the wedding entertainment, you are left to simply enjoy the day. Let them make planning your party as much fun as celebrating it. For more information, visit their website, or call #TheHartoftheIndustry today at (212) 487-0370 or (516) 802-3655.